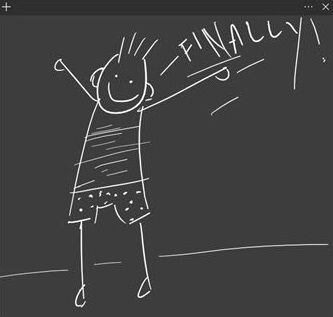 Microsoft is today rolling out a new version of Sticky Notes for Windows 10. At the moment, only Windows Insiders in the Skip Ahead can download the app. “Today we’re excited to announce that we’re rolling out that major update to Windows Insiders who have opted into Skip Ahead,” Microsoft writes in a blog post. 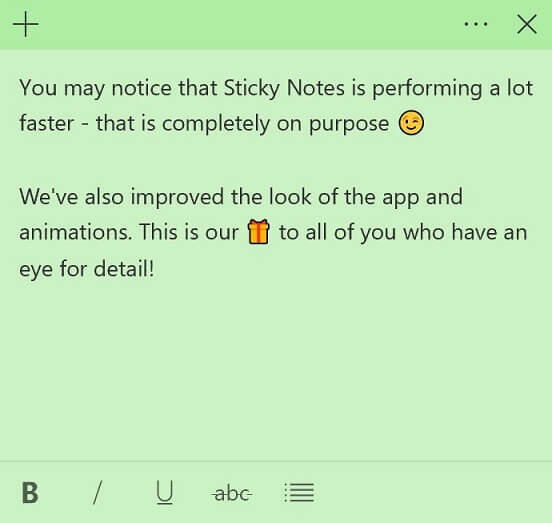 The new Sticky Notes app for Windows 10 comes with the dark theme and a bunch of other improvements that you can find below. Sync (& backup) your notes across your Windows devices. If you have a lot of notes, your desktop can get a bit crowded! We are introducing a new home for all your notes. You can choose which notes to stick to your desktop or tuck them away and find them again easily with search. Before all the beautiful sunshine arrived, we channeled our dark energy into a dark themed note: Charcoal Note. Crossing tasks off feel better than deleting them! Now you can style your note with the new formatting bar. You may notice that Sticky Notes is performing a lot faster – that is completely on purpose. We’ve applied so much polish that the app is starting to look like a shiny pony! Using assistive technologies and Narrator. Using mouse, touch, and pen. 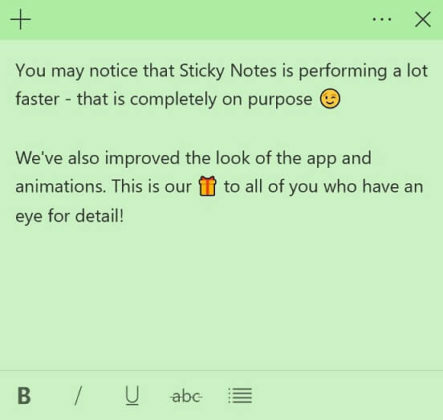 It’s worth noting that the new version of Sticky Notes is only available for Windows Insiders in the Skip Ahead and it’ll be released to more users soon.